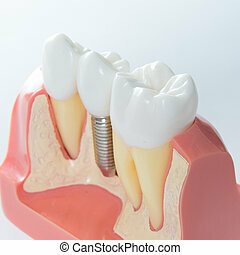 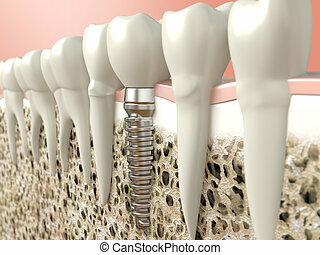 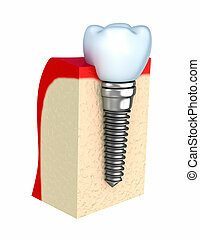 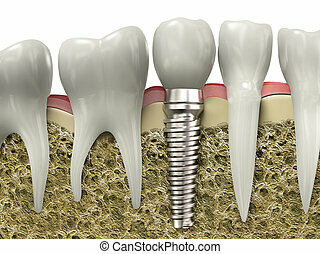 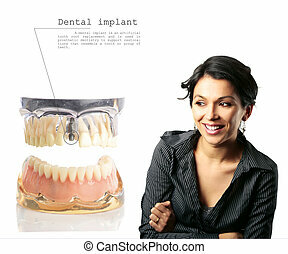 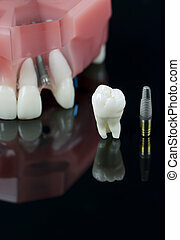 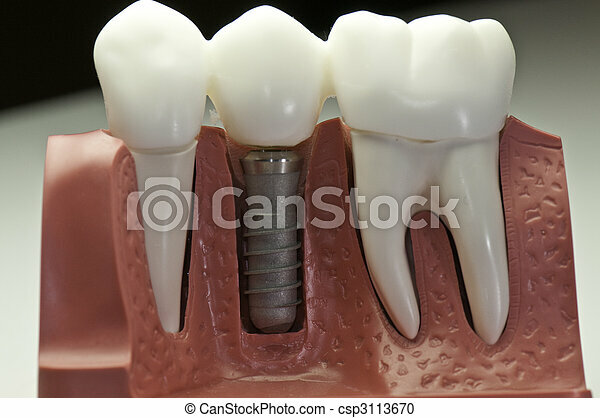 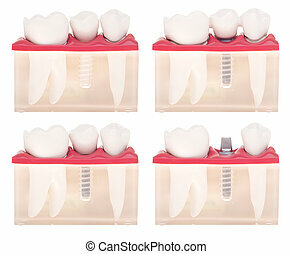 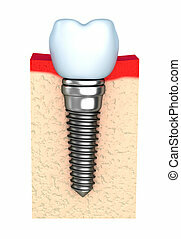 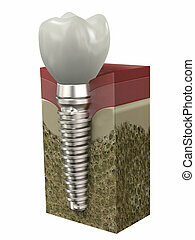 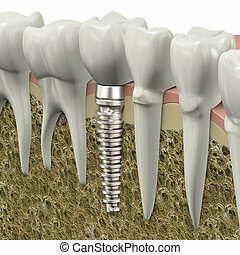 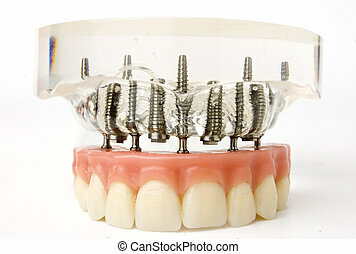 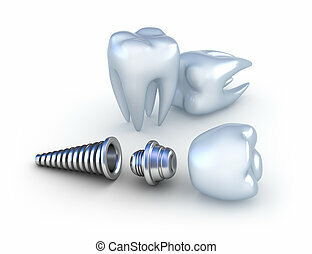 Capped dental implant model. 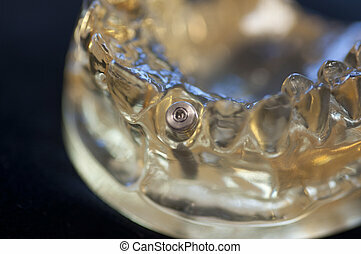 This model show the teeth have been capped and the stainless pin in the gums. 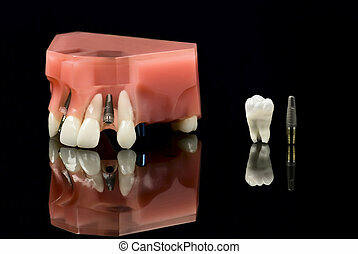 This model show the teeth have been capped and the stainless pin in the gums.